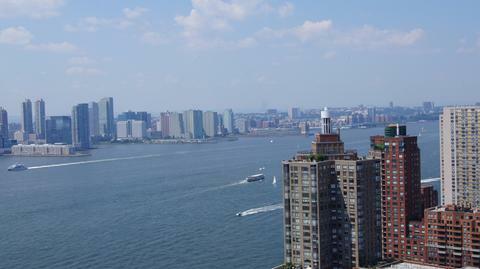 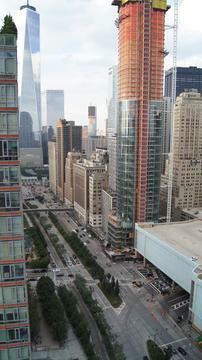 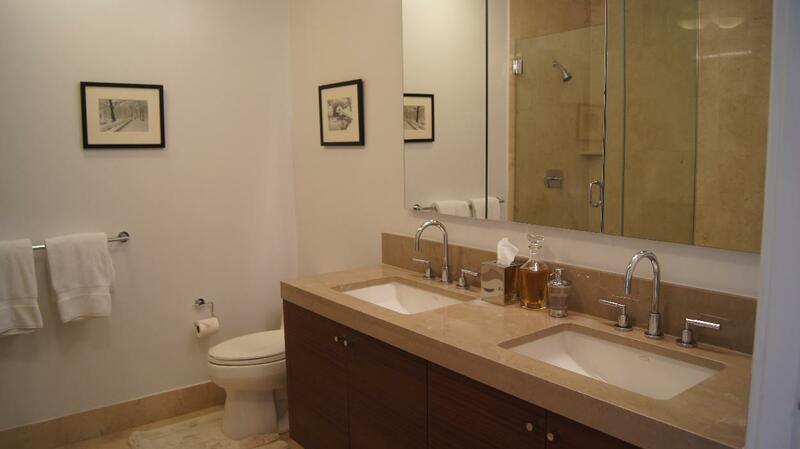 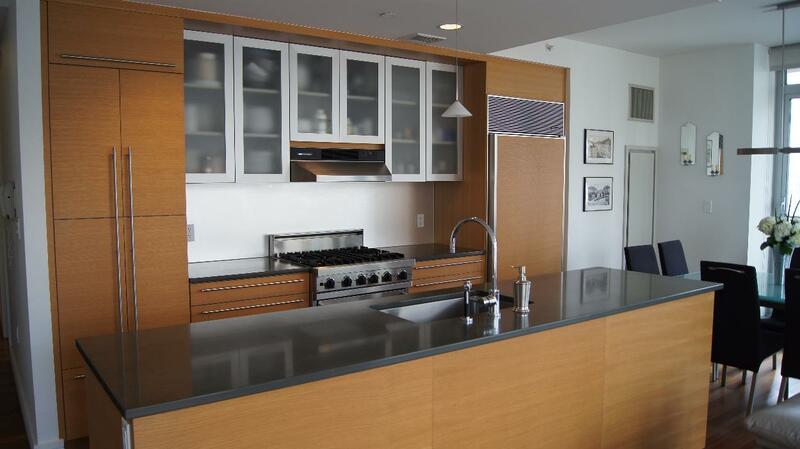 33rd floor corner condominium with stunning city and water views. 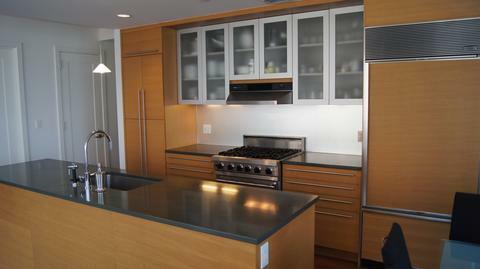 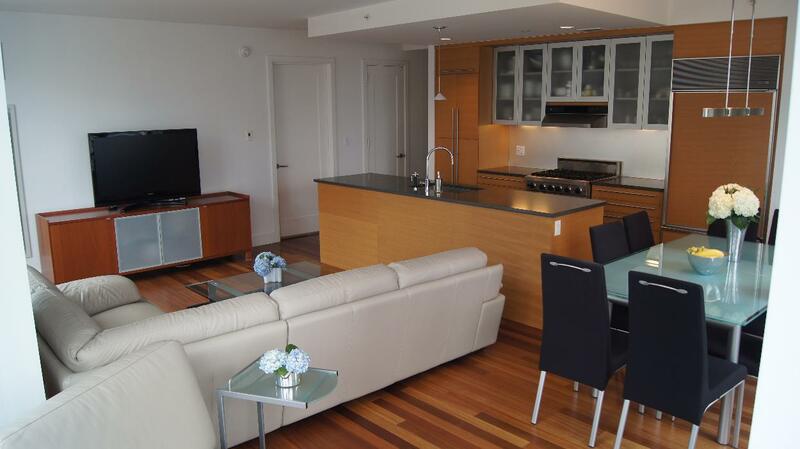 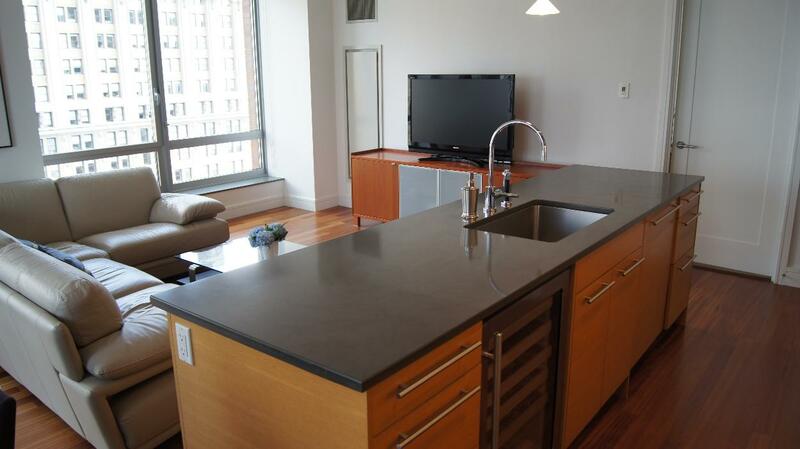 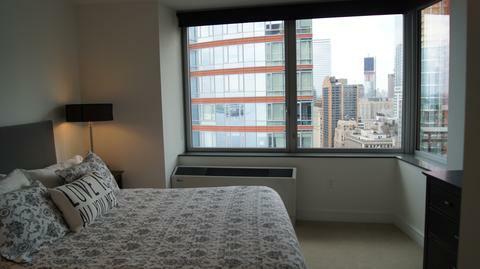 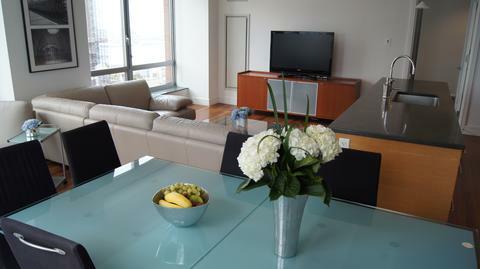 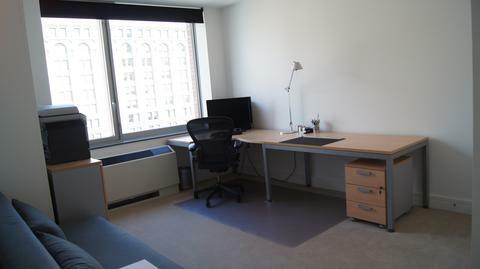 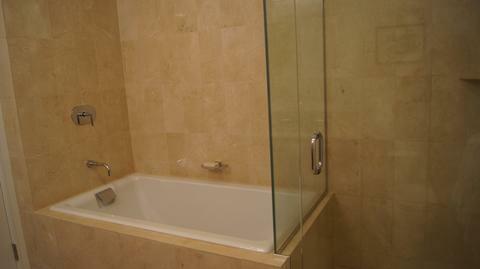 High floor (directly below penthouse units), 2 bed 2.5 bath plus private balcony. 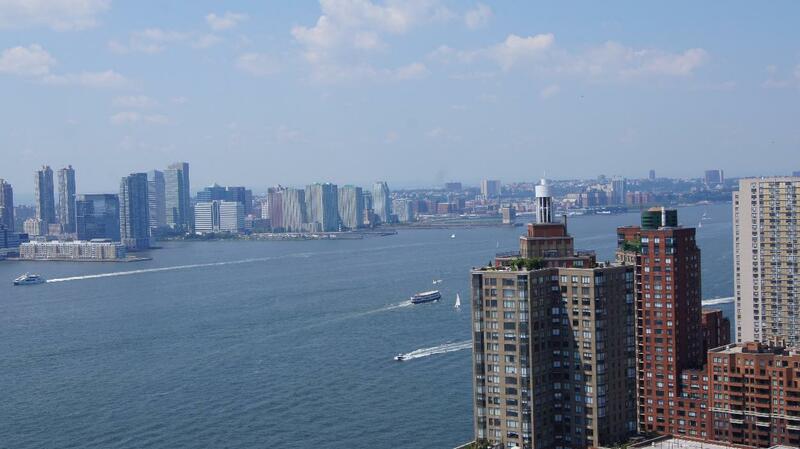 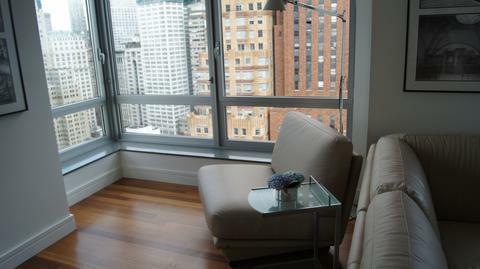 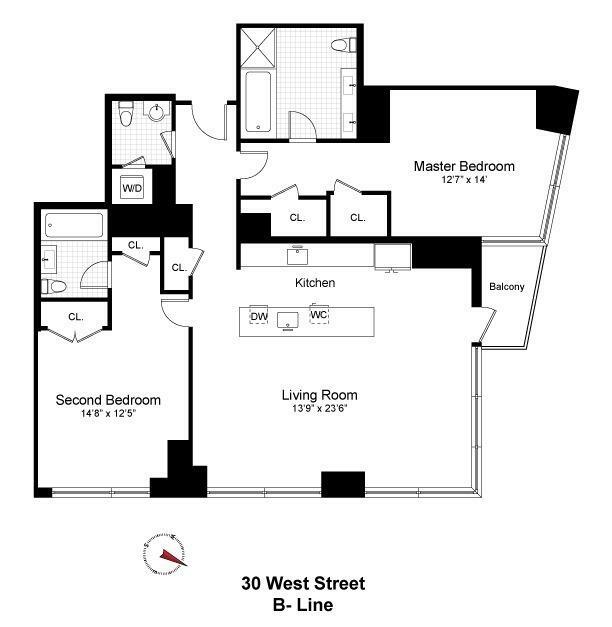 This unit has views northeast of One World Trade Center and the Manhattan skyline, southeast of Battery Park and New York Harbor and west of the Hudson River and New Jersey. 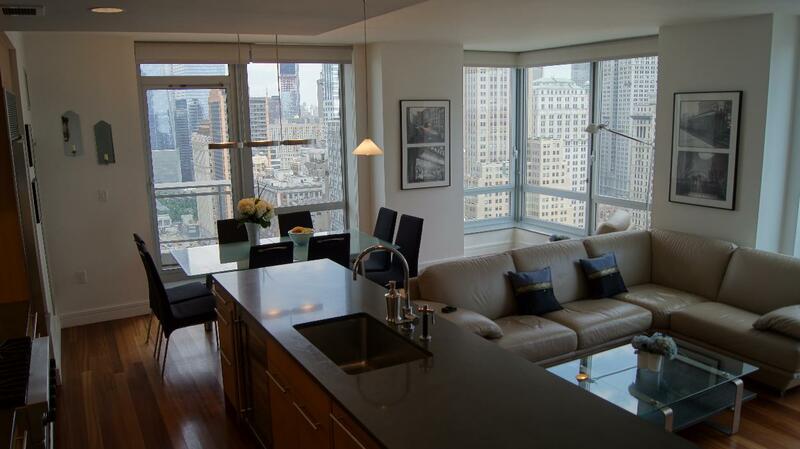 Wrap around, floor-to-ceiling windows provide plenty of natural light. The open kitchen is equipped with top-of-the-line appliances including Sub Zero refrigerator, Miele dishwasher, Viking range and U-line wine cooler. 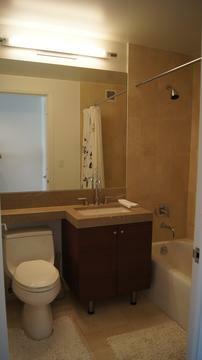 The master bedroom has 2 walk-in closets and a lavish master bath including a tub-for-two. 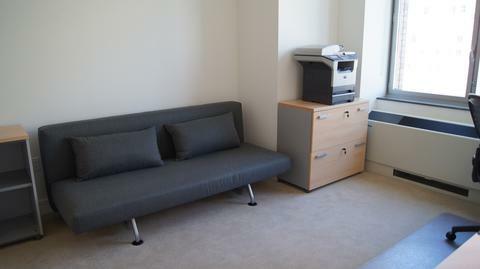 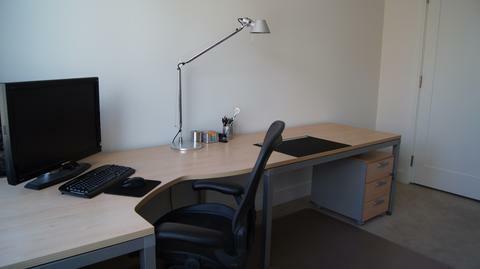 The second bedroom is extremely spacious with 2 closets and an en-suite bath. Luxurious finishes include Brazilian cherry wood flooring, carpeted bedrooms, stackable washer/dryer, marble baths and separate powder room for guests. Millennium Tower Residences is a Green full service luxury condominium with amenities that include a 1500 square foot fitness center, kid's club, resident lounge with pool table, bicycle storage, as well as an in-building cafe and restaurant. 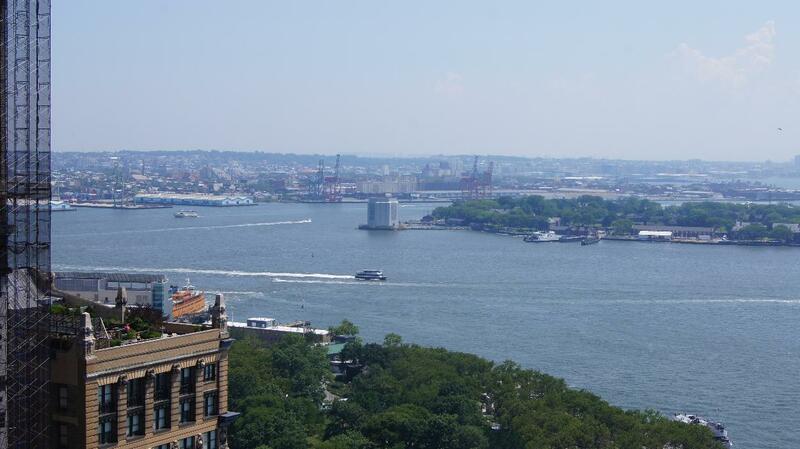 This exciting home is located in tranquil Battery Park City near the Financial District, the World Financial Center, Pier A and the new Hudson Eats. 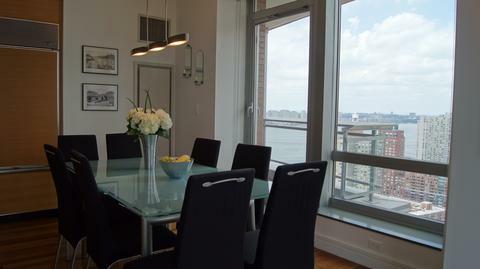 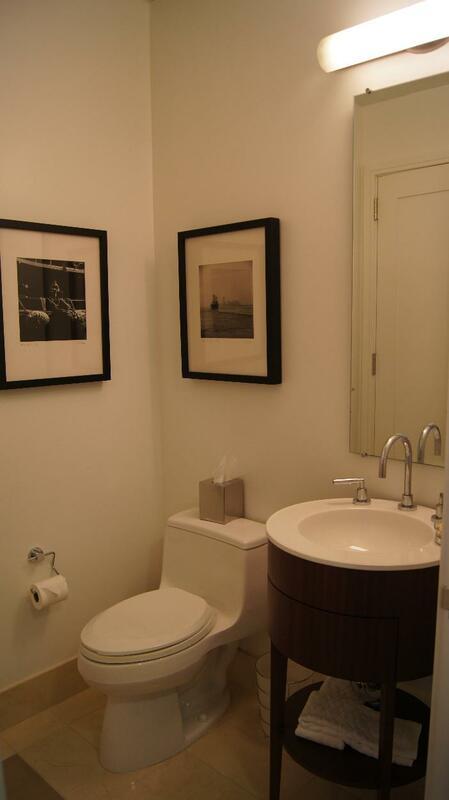 Easy access to the 1/4/5/R/J/Z subway lines, PATH, Staten Island Ferry, FDR, West Side Highway and bike path. The building offers valet parking. 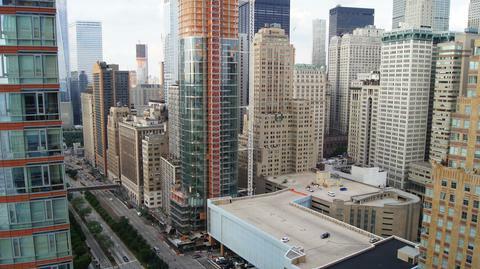 A self-parking garage is also located directly across West street.